⟩⟩⟩ Broadcast quality, professional MPEG-2 SD audio & video encoder with very stable and powerful functionality. SD-SDI, CVBS, AES/EBU inputs. 2x ASI & IP outputs with TS over UDP unicast / multicast capability. 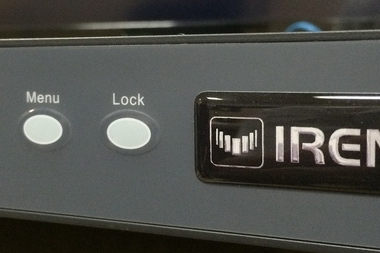 IRENIS MPE-2000 encoder accepts a variety of analog and digital SD video and audio signals. Video encoding format is MPEG-2. The output is ASI and IP simultaneously in broadcast quality. The IP output can be connected to any WAN (VPN, metroethernet) or LAN and can feed live video directly to distant satellite uplink stations, multiplexing sites. IRENIS MPE 2000 MPEG-2 Encoder is a professional audio & video encoding device with powerful functions. This device can support a variety of analog and digital audio and video input interfaces. The video input interfaces include the CVBS, S-Video and SDI, and audio input interfaces include the balanced and unbalanced analog input interface, the analog audio input interface (XLR) and digital audio input interfaces (AES/EBU). The output is ASI and IP. Its high compatibility and excellent encoding quality enables the use in a variety of digital broadcasting systems. MPEG-2 encoder and streamer for broadcasters. Feeding distant multiplex or transmitter sites with live content.